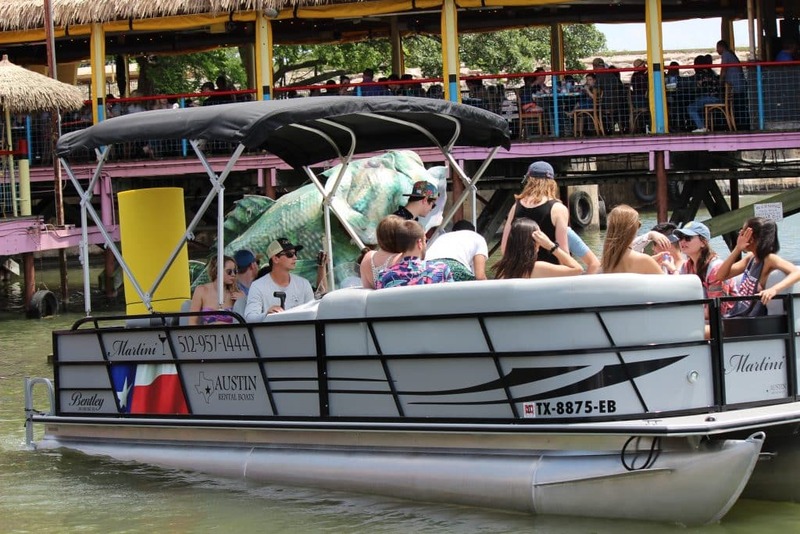 Austin Boat Rental Service providing party boats and boat rentals on Lake Austin. We offer the best boat rental service in Austin. Our boat rentals come fully equipped with an Aqua lily pad, Foam Beer Pong Table, 8 Floating Saddles, Cooler with ice, water, life jackets, Captain and Fuel. We can accomodate groups up to 32. Reserve your boat rental today with only a $100 deposit. © 2019 Austin Rental Boats.